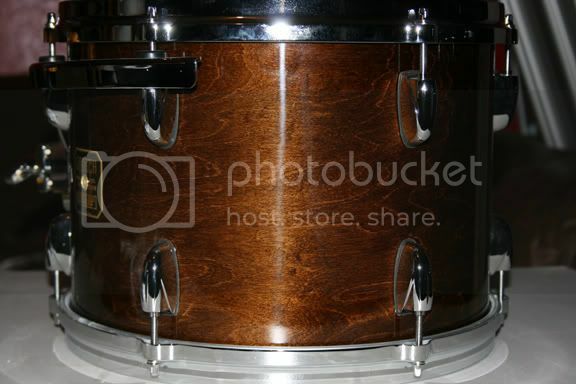 This is a 14x20 bass drum I just finished. 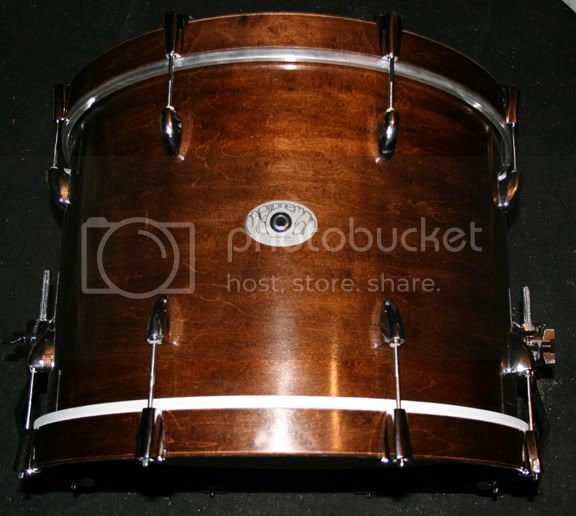 It's a 14x20 Vintage maple keller shell with reinforcement rings. 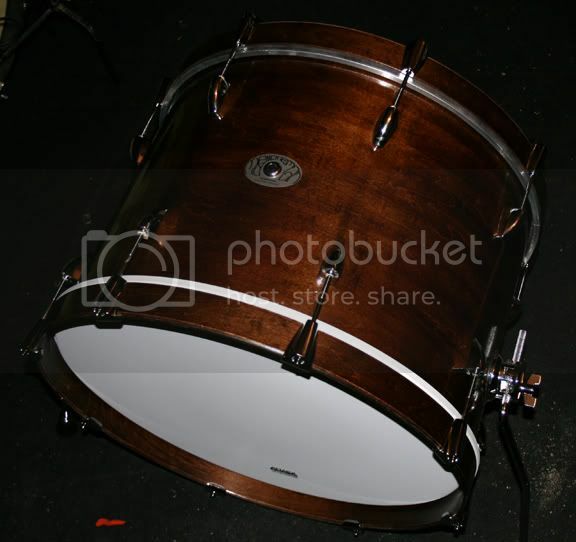 I stained it to match his Gretsch drum kit. This is the color I matched it to. really nice work! I' ve got a few questions for you too. When you are re-cutting edges is it necessary to take the wrap off? and do the edges need to be flattened again? I'm looking at cutting my exports edges myself. No you don't have to remove the wrap. The seam can cause a little problem because it creates a little bump on the side of the cut but the dge itself should be ok. You'll want to flatten the edge after you cut it insure its flat and make sure the edge isn't too sharp. yeah I've joined ghostnote.com recently and I've heard its good to sand down the seam. And I've heard a lot about sanding tables too.